An influenza pandemic occurs when a new strain of flu virus appears that humans have no immunity against. This can potentially lead to an enormous number of illness and death due to an increase in global travel as well as overcrowded conditions. It is important that in the event of a pandemic we follow instructions given to us by local officials. We may be instructed to keep our kids home from school, stay home from work, or we may even be asked to shelter-in-place in our homes. This will help prevent the spread of the new virus. Covering our mouth and nose when we cough or sneeze. Stay home from work when we are sick. Have a supply of food and water on hand to last 1-2 weeks. Because grocery stores may be closed or items may be out-of-stock, it is important that we keep enough food and water to sustain our families up to 2 weeks. The recommended water supply is 1 gallon of water per person per day. Store an extra supply of personal hygiene products to last 2 weeks. This can include items such as soap, shampoo, toothpaste, deodorant, toilet paper, and feminine hygiene products. Carrying hand sanitizing lotion with us for when soap and water is unavailable. Washing our hands often with soap and water. 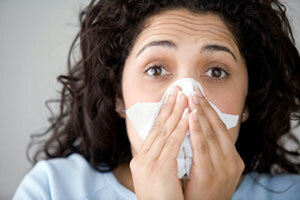 Keep items on hand that will relieve flu symptoms. These are things like Tylenol (to reduce fever and pain), ibuprophen, cold packs, blankets, and humidifiers. Make a family care plan. This will include things like who will take care of the kids if they become ill or if schools are closed, and who will take care of those family members who are disabled or who have special needs. Keep an extra supply of medications that we take regularly to last up to 2 weeks.